The Jammu and Kashmir police are also in touch with Maharashtra Anti-Terrorism Squad and the National Investigating agency to get more details about her past activities. Srinagar: The police in Jammu and Kashmir may have received false intelligence inputs about a purported suicide attack by a young woman from Pune on Republic Day in Kashmir. After detaining and questioning Sadiya Anwar Shaikh, 18, the police on Saturday said it doesn't have any evidence to suggest that she was planning a suicide attack. However, police officials also pointed out they were still investigating her affiliations and the purpose of visiting Kashmir in coordination with other security agencies. "There is no such evidence that she was planning a suicide attack," said Munir Ahmad Khan, Additional Director General of Police. He did not elaborate on the source of the inputs that prompted Ms Shaikh's detention. He said Ms Shaikh was picked up for questioning and kept in the women's police station in Srinagar. "No weapon or explosives were found in her possession," said Mr Khan. 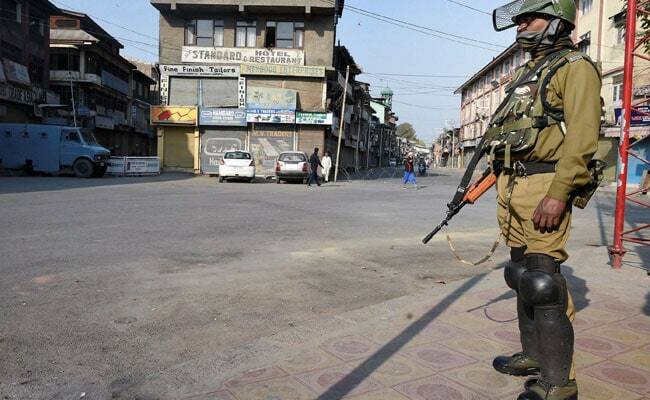 Ms Shaikh was detained in Bijbehara in the Anantnag district after the police issued an advisory to all security formations that she may have been involved in a suicide attack plot on Republic Day yesterday. After an investigation, the police said Ms Shaikh had taken an admission in a nursing college in Bijbehara. The police said they are investigating the background of her contacts in Kashmir and reasons behind her choosing the college in the state. Ms Shaikh has been under the watch of security agencies since 2015 after she underwent counselling against radicalisation. According to reports, Sadiya was brainwashed by online extremists and had started "believing in ISIS ideology". Last year, she was detained when she was on the way to Kashmir where she was purportedly planning to get married.